Good news! We will be back participating in the 2019 Scotiabank Charity Challenge! On June 23, 2019 walk, run or roll with us in the 5k or Half Marathon through Stanley Park! This year is going to be bigger and better than ever so don’t wait to sign up. We will have updates coming shortly, so check back here or on our social media for discount codes, track information and incentives! Your involvement in the Scotiabank Charity Challenge with CPABC means you are supporting individuals living with cerebral palsy and other disabilities across British Columbia access the essential programs and services they need in order to live a Life Without Limits! 2. 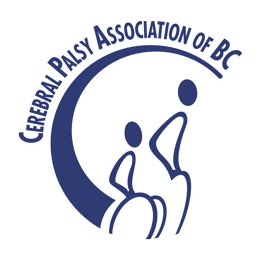 Enter our charity codes at the end of the application for a discount off of your registration cost! We can’t wait to see you on #TeamCPABC again this year! June 25th, 2017 was a momentous time at the Scotiabank Charity Challenge. Our #TeamCPABC of 31 runners, of all ages and physical disabilities, raised close to $17,000 by taking part in the half marathon and 5 km races – even coming close to a Guinness World Record. We achieved wide media exposure thanks to our running duo Jason and Rand – being featured in CTV and Global News. This year, we want to aim even higher! June 26th, 2016 marked our third time tackling the Scotiabank Charity Challenge. It was our most successful iteration with 34 runners and over $16,000 raised. Take a peek at the experience! On June 28th, 2015 the Cerebral Palsy Association of BC participated in the 2015 Scotiabank Charity Challenge for the second year in a row. The day was spectacular with upwards of 30,000 participants of all ages and physical abilities taking part in either the 21km or 5km races in Vancouver. With 26 runners for our organization and countless supporters we were able to raise $10,008.00! Thanks to their support and effort, 100% of the funds raised will go towards our programs and services which serve the province of British Columbia. Make sure to check out our photo compilation below from the day of the event. A special thank you to our photographer, Fiona Bevans, for all her help.  I am running for the Cerebral Palsy Association of BC since I live with the life-long condition and it’s a cause that I believe in. 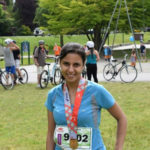 I ran in the 2015 Scotiabank Vancouver Half Marathon because I had never participated in a half-marathon before and thought, why not run? Being a runner is a lot like being part of the cerebral palsy (CP) community: you are part of an extended family with your running group. It was good to have people there who were working towards the same goal and there to motivate you to achieve a great time in the race, not just finish it. In addition to the Scotiabank Charity Challenge I will be running in the Bellingham Bay Half Marathon in late September, so no rest for me as I will be running throughout the summer!